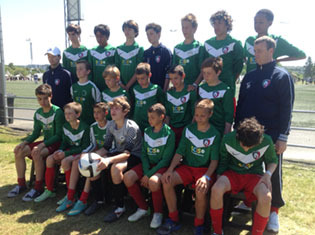 Over 8 years ago John McCulloch visited the South American youth champions, Tahuichi, who introduced us to the Gothia Cup through Cony Constin who runs the US Tahucihi program. 7 years on and we have been consitantly yaking teams to compete every year, and competing really well. We are now planning for next years 2015 tournament, and taking more teams than before. Its a great life experience for all the boys that go, and they always do themselves and the club proud, both on and off the field. Want to join us? Come for a Gothia trial in September as we are taking 2005, 2006 and 2007 teams. We expect all our Gothia players to join our Gothia training program which will mean 4 training sessions a week in preparation for our next adventure in the Gothia Youth World Cup in July 2017. Each year we have taken more and more teams, and we hope next year will be no exception. It really is a great life experience for the boys, both on and off the field. They create a great bond with all their club mates, not to mention the excitement and enthusiasm they show by competing in a World Cup. There is also the added bonus that they perform really well.